Whisk it. Whisk it good. 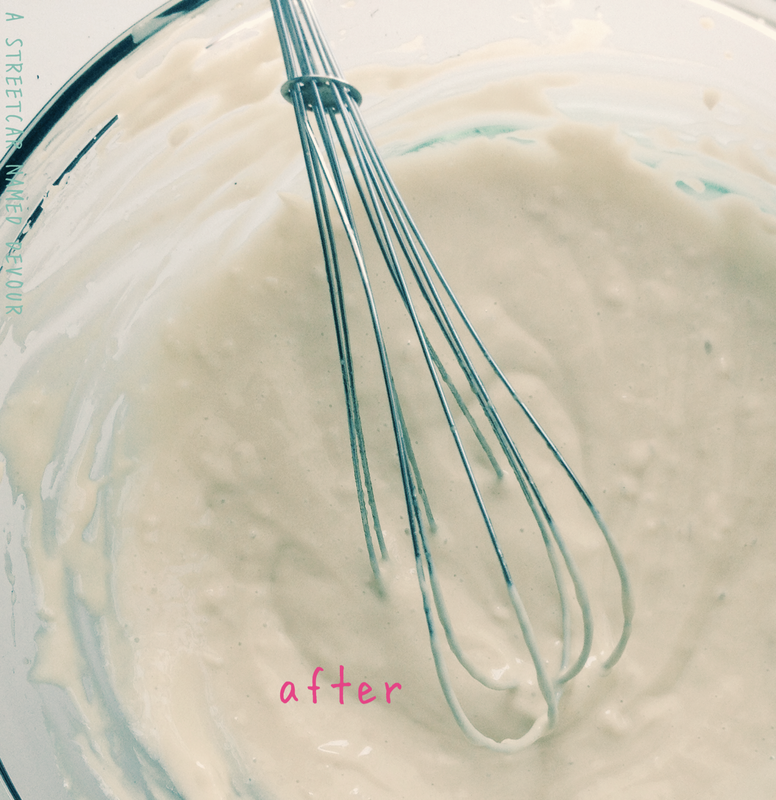 In culinary school, you learn how to make mayonnaise in the “classic” technique: using a whisk. The art of incorporating air into the egg yolks till they’re pale yellow in color and like “ribbons” when you run your spatula or finger through. A little salt is added with lemon juice, vinegar and Dijon mustard. Then whisk whisk whisk! And whisk some more as you very slowly drizzle droplets of oil into the mixture. Whisk whisk whisk. Repeat until the mixture is completely emulsified, like (you guessed it!) mayonnaise. It’s a good workout, really. I’m used to making mayonnaise this way at home. But at an old job I made mayonnaise quite often. In very large batches. Like, 22 quarts. Weekly. (Which is pretty gross when you think about it.) In that case, I would make the mayo with a Robot Coupe (an industrial-size food processor which costs upwards of $2000) or by using a large, hand-held Robot Coupe Power Mixer which looks like a slightly larger version of the Ghostbuster’s Proton Gun (minus the Proton Pack). Using a food processor makes this recipe quite easy. 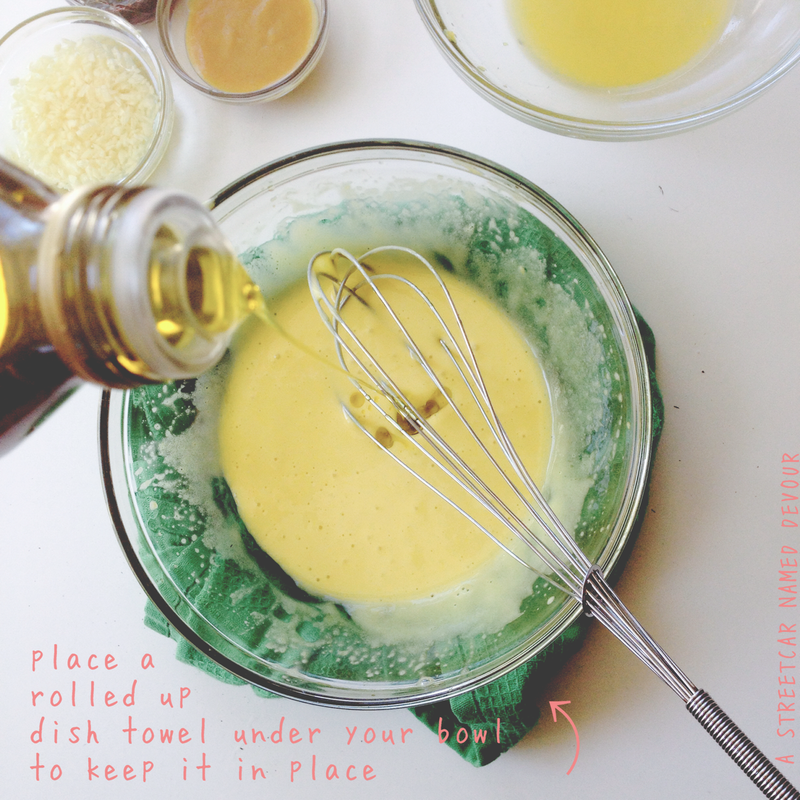 Of course, if you don’t have a food processor, you can always go old-school with the whisk method. I liken myself to be an old-school kinda gal, so I prefer the latter. 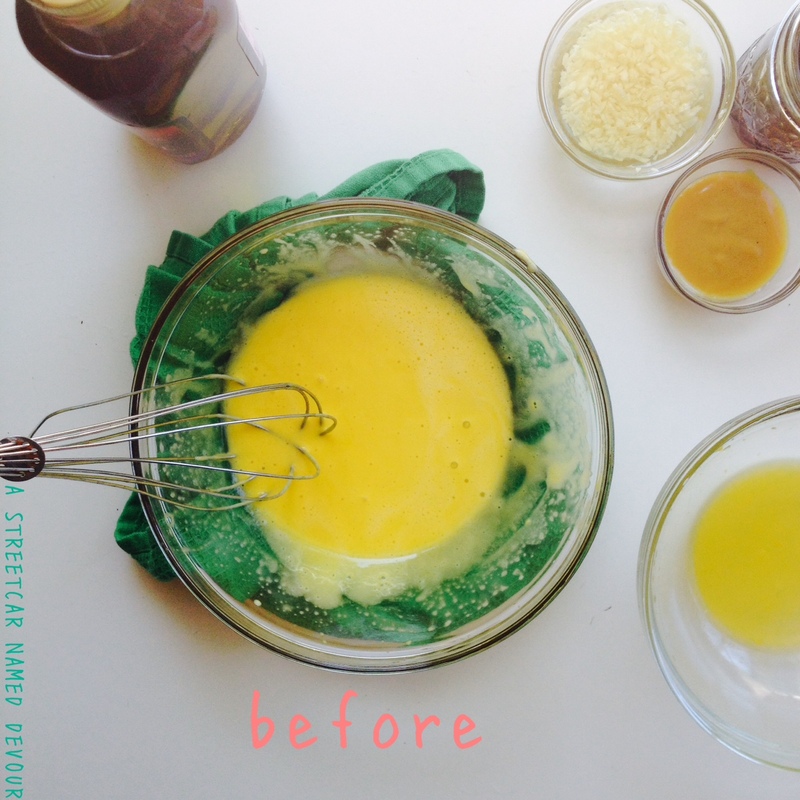 In a glass bowl whisk the egg yolks together till they’re a pale yellow color. In a separate bowl combine the lemon juice and the vinegar. Add half of the mixture to the egg yolks. Start whisking briskly, then you can start slowly (and there’s an emphasis on slowly) a few droplets of the oil into the bowl. Continue to whisk the mixture, adding drops of the oil at a time. Once the mixture starts to thicken a bit, you can start adding the oil in a slow but steady stream, alternating between streaming the oil and whisking. Place the egg yolks into a food processor. Process the yolks until they’re a pale yellow color. Add a pinch of salt and continue to pulse. Add the lemon juice, vinegar, Dijon and agave and pulse till well combined. Slowly stream in the oil, pulsing between small batches. Pulse until all of the oil is added. By now you should have a nice thick emulsion. 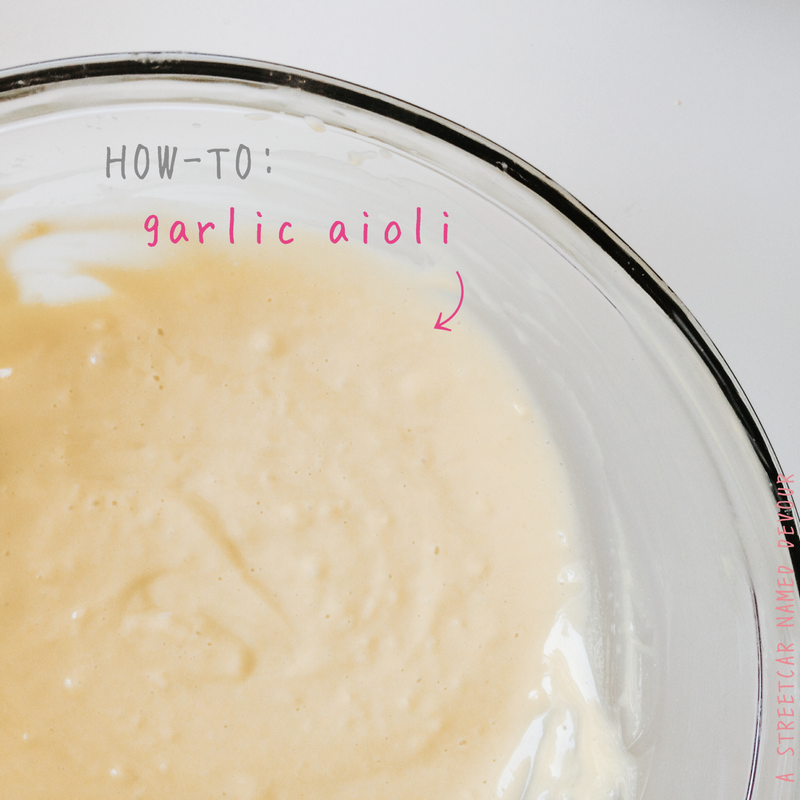 Prepare the garlic as instructed above and place into the aioli.